Like most Americans I discovered Margaret Lockwood through the classic Alfred Hitchcock film The Lady Vanishes (1938). Miss Lockwood impressed me in a way that only a few other actresses had before. In fact, she would join my ever growing number of classic film crushes, a number that includes such actresses as Audrey Hepburn, Vivien Leigh, and Grace Kelly. It was not just a case that Margaret Lockwood was incredibly beautiful. The character she played in the film, Iris Henderson, was independent, intelligent, resourceful, and charming. What is more, Miss Lockwood played the role very convincingly. 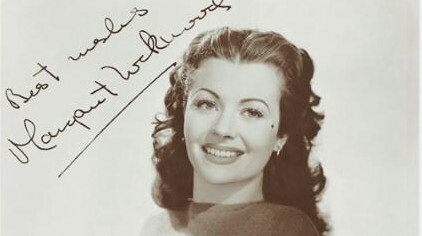 Given the impression Margaret Lockwood made upon me, it was natural that I sought out her other films. Unfortunately, living in the United States this would not prove to be easy. While The Wicked Lady and Night Train to Munich were shown on American television from time to time, her many other films were rarely shown. And many of them were hard to find on VHS or DVD. It would be literally years after I first saw Margaret Lockwood in The Lady Vanishes that I would finally get to see what would become one of my favourites of her films, Bank Holiday (1938). The fact that Bank Holiday was one of the early films of Carol Reed, a director whose films I admire, made me want to see it even more. For those who have never seen the film, it is perhaps easiest to describe Bank Holiday as a particularly British variation on the “Grand Hotel” theme, in which storylines involving different characters are linked by a specific locale or event. In the case of Bank Holiday, the storylines are joined together by the fictional, seaside town of Bexborough, on which the various characters converge during an August Bank Holiday weekend. Among the storylines in Bank Holiday are one involving a Cockney couple (Arthur, played by Wally Patch, and May, played by Kathleen Harrison) and their rather unruly children and one involving a young woman named Doreen (Rene Ray), who is competing in a beauty contest as Miss Fulham. Central to the film is Margaret Lockwood’s character, Catherine Lawrence, a nurse from London. She has agreed to spend the weekend in Bexborough with her fiancé (Hugh Williams), a situation about which she has very mixed feelings. This is complicated by her concern for an extremely distraught widower (John Loder), whose wife has just died in childbirth. When I first watched Bank Holiday I must say that I was surprised. At the time the only British films from the Thirties I had seen were those directed by Alfred Hitchcock, films that did not stray too far from the Production Code of the United States that dictated what is and what is not acceptable in American films. Bank Holiday was a far cry from most of Hitchock’s films and an even farther cry from American films of the same era. At a time when American films portrayed married couples sleeping in separate beds, Bank Holiday featured a not yet married couple who planned to spend the weekend in the same room (and the same bed at that). What is more, one of Miss Fulham’s rival beauty contestants, Miss Mayfair (Jeanne Stuart), plies her feminine wiles on a judge in an effort to win the contest. Bank Holiday had a sexual frankness that I had only seen in the Pre-Code films of Hollywood and films from later eras. I certainly did not expect to see it in a British film released in 1938. Beyond its uncompromising approach to sexuality, I was also surprised that Bank Holiday largely centred on working class characters. By the time I first saw Bank Holiday I had already seen films from the British New Wave, not to mention various British sitcoms over the years, but I had never seen a portrayal of the British working class prior to the Fifties. Most of the central characters belong to the lower classes. Beauty contestant Doreen (“Miss Fulham”) and her friend Milly (Merle Tottenham) are both shop girls. Arthur and May, the Cockney couple with the rambunctious kids, are virtually stereotypes of the British working class. The working class characters of Bank Holiday are not portrayed with the reality of the later kitchen sink films (as I said earlier, Arthur and May are virtually stereotypes), but the fact that they were present in a British film made in 1938 rather opened my eyes. As an American I tended to forget that prior to the Fifties, not every British subject was an aristocrat. Bank Holiday is not a perfect film. There are portions of it that do seem contrived, particularly portions of Catherine’s storylines. What makes the film work are Carol Reed’s attention to details and Margaret Lockwood’s performance. Many of Carol Reed’s touches, such as the rush at Victoria Station and the crowded beach at Bexborough, give it a reality that might have been denied by some of the weaknesses of the film’s plot. As to Miss Lockwood, she makes Catherine seem like a real person despite the occasional unreality of her storylines. Given the weepiness of some of the material, many actresses may well have overplayed the part of Catherine. This is not the case with Miss Lockwood, who gives a very nuanced performance in the role. She is convincing even when the screenplay isn’t always. Given its sexual frankness, I wasn’t surprised to learn that Bank Holiday ran into trouble when it was submitted to the Production Code Administration (the PCA) in the United States. After all, Catherine’s liaison with her fiancé violated part of the Production Code. While Joseph Breen, head of the PCA, thought Bank Holiday was a “very, very good picture,” he did not think it could be re-cut in such a way as to conform to the Production Code. Gaumont British had the PCA watch Bank Holiday again, after which Gaumont British agreed to find an editor who would remove all objectionable material from the film. Ultimately, 1450 feet of film (about five minutes) was removed from Bank Holiday in order to make it conform to the Code. It was released in the United States on 1 June 1938 under the title Three on a Weekend (it was presumed most Americans would not know what a “bank holiday” was). The United States was not the only country in which Bank Holiday faced censorship. Several cuts had to be made to the film before it could be shown in the Republic of Ireland as well. I don’t know about the Republic of Ireland, but fortunately the original, uncut, British version of Bank Holiday would eventually become available in the United States. 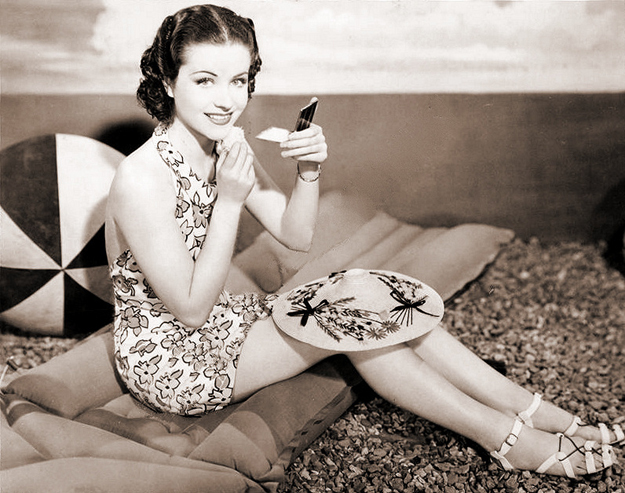 Ultimately Bank Holiday made me fall even deeper in love with Margaret Lockwood. It also made me realise that sexual frankness and portrayals of the working classes existed in British films prior to the British New Wave. For all its weaknesses, it has over time become one of my favourite Margaret Lockwood films and one of my favourite Carol Reed films as well. Whatever the flaws of the film’s screenplay, Carol Reed’s direction and Margaret Lockwood’s performance more than compensate for them. In the end Bank Holiday is a film in which its sum is definitely greater than its parts. Terence Towles Canote is the author of Television: Rare & Well Done: Essays on the Medium. Click here to visit his pop culture blog, A Shroud of Thoughts.